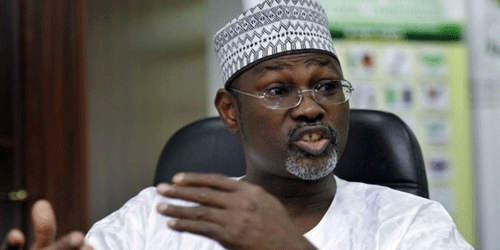 Professor Attahiru Jega, The A former Chairman of the Independent National Electoral Commission (INEC), has said that politicians are the greatest problem to democracy in Nigeria, Quoting That politicians are a significant threat to Nigeria’s democracy and its corporate existence, advice Nigeria citizens to find ways to control their excesses and recklessness. He said the biggest threat is the recklessness of politicians to undermine Nigeria’s democracy thereby disrupting the process of development. The Director-General, National Orientation Agency (NOA), Dr. Garba Abari who said Nigeria’s democracy was under threat with the signs and indicators all over. Noted the need for the government to partner with CSOs to educate Nigerians on elections especially to curb invalid votes. The Executive Director of YIAGA Africa, Samson Itodo, said the series was to create a platform for engagement on the 2019 elections and provide the opportunity for key election stakeholders to engage on pathways to ensure peaceful and credible elections. The Director, Centre for Democracy and Development, Idayat Hassan, urged Nigerians to be involved in the electoral process and think of national unity and development above sectional considerations. The Effect of The Underage Voters Registration To Democracy in Nigeria was not discussed during the meeting. 1 responses on "Politicians Are Nigeria’s Greatest Problem- Jega"